Stoke City need to be more cautious of their strategies if they still wish to remain afloat of the relegation zone. They are currently just two spots away from the dead bottom, although a four-point advantage could still save them with another week outside the dangerous table spots. Thus far, they have win twice this season, with another pair of matches ending draws and a three-match set of disastrous efforts. Swansea, meanwhile, sit comfortably within the top five. With 11 points inked in their score sheet, they have a current EPL record of W3-D2-L2. The side are excellent in creating scoring chances using through balls but they need to make significant improvements in their discipline as well as in their aerial stunts. They have been winless in their last four top-flight matches, two of which were defeats. 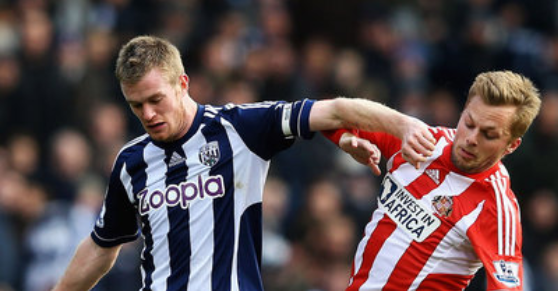 Online betting tip: Stoke and Swansea will share the points. West Brom and Manchester United’s past few matches were all very interesting. Their most recent meeting, which was from last season, earned the visitors with a three-goal clean sheet but in their first leg, the home squad bagged all the spoils. Still one match earlier, the sides scored five goals apiece, producing the highest-scoring stalemate for the 2012-13 season. This time around, only a few things have changed as far as their forms are concerned. Manchester United entered the new season rather poorly but have since been able to pick themselves up and secure a position within the top four. West Brom, meanwhile, have only attained sizable points from the past few weeks (they spent they first four EPL matches without any win), except for their most recent battle when they succumbed to their opponents 2-1 away. They currently rank at number 14 in the league table. Football betting tip: Manchester United will narrowly win against West Brom.